GradeQuick Web Plugin (not really a plugin, but a program). In my opinion, GradeQuick doesn’t work well even in Snow Leopard. It functions, but the UI is terrible, and it opens a different window for each class. SMART Notebook 10.8. I only know of one teacher who regularly connects her SMARTBoard to her MacBook, but I am sure others use Notebook on their Macs to create files to use with their SMARTBoards. Konica Bizhub copier drivers. We can print to our copiers using our Macs, but the Konica website doesn’t have a driver for 10.7 yet, and they have published no ETA for releasing one on their website. I am going to an Edline/GradeQuick conference next week, and I hope to be able to find out more about when GradeQuick will work on Lion at that time. This email from Edline support to the LRSD Technology Center is the only information I’ve been able to find. The tone of the letter disturbs me because it sounds as if Edline is blaming Apple for the incompatibility. Apple switched to Intel-based processors some time ago, and Rosetta (at least to my understanding) was meant to be a way to transition from PowerPC-based to Intel-based processors. The announcement that Apple was making this change was made in 2005. Snow Leopard, which was introduced in 2009, was released as Intel-only and you had to download Rosetta in order to run PowerPC programs. To my way of thinking, software developers knew two years ago which way the wind was blowing, but because Apple was still supporting Rosetta, they effectively decided not to make any changes to their software until Apple forced them to. Education software is not always known to be the most proactive bunch, but given how many schools seem to be moving to 1:1 laptops and how many of those programs are using Apple, it just doesn’t make business sense to decide not to upgrade until you’re forced to. There are alternatives out there, and if you want to keep a school’s business, it seems logical to make sure your software runs on their hardware. SMART is making the same mistake. A cursory glance at the SMARTBoard Revolution Ning reveals users are having a whole host of problems with Notebook 10.8 on Lion—actually, seems to be unstable with Macs in general. Take a look at this thread. The answer that the original poster was given when he asked when SMART would be resolving known issues with Macs and SMART Notebook? Not until next year when the next update is pushed out. So users need to downgrade to 10.7 if they wish to use Notebook on their Macs? When so many schools use Macs? I tweeted Konica about the drivers for the bizhub copiers, and they replied that the new driver should be released next month, but that the driver for 10.6 would still work on Lion. That is good news for those of us who print from our Macs. Still no firm date, and “should work” doesn’t mean “will work,” but since I can’t upgrade due to issues with GradeQuick and SMART Notebook, I can’t test it. I have decided that I want to install VMWare Fusion to run the programs in Windows on my Mac. I admit I feel frustrated. Would the software companies drag their feet like this on Windows software? Given the large number of Mac OS users in education, how can they justify dragging their feet on Mac software? 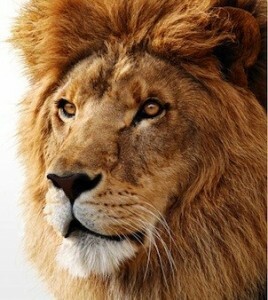 Do you know of any other programs educators might use that will not work in Lion? Please share in the comments. Also, feel free to share any other issues you’ve had with using Macs in school. 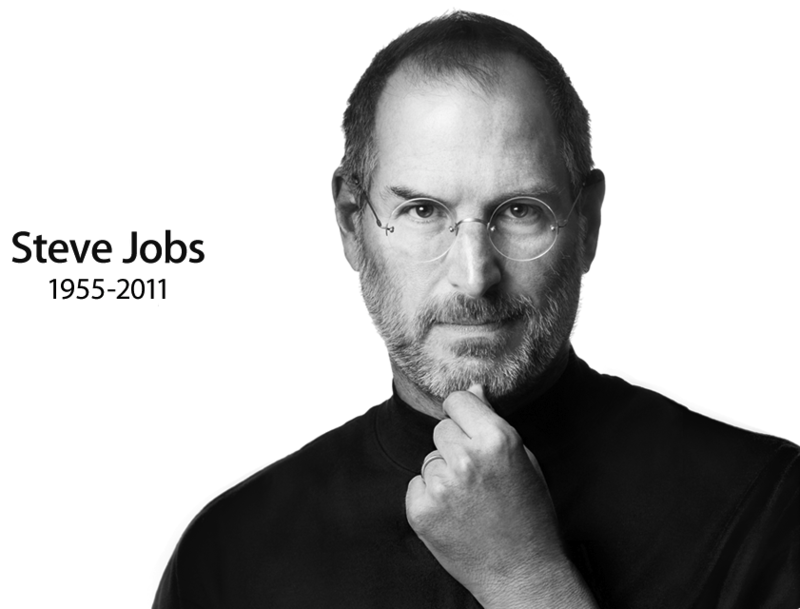 Like so many, I was saddened to hear about the death of Steve Jobs today. He made technology into art. He was one of the true visionaries of our time. The products that Apple created while he was at their helm revolutionized computers, communication, and music. My Apple products have enabled me to create wonderful things. 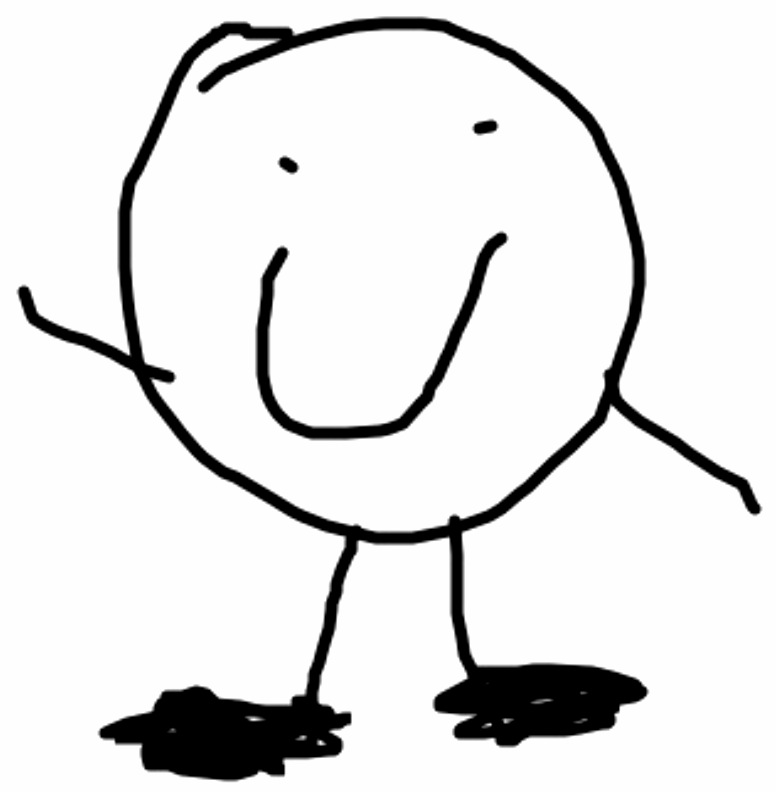 My son Dylan drew the self-portrait above using an app on his dad’s iPhone. Dylan took to the touch screen interface of the iPhone like a duck to the proverbial water, and he was suddenly able to create and communicate in ways he couldn’t before. For those of you who don’t know, Dylan is autistic. The iPad has done such revolutionary things for individuals with autism that many special education programs are now using them in the classroom, and Dylan has been able to use one at school. I know there are programs to try to match families with autistic individuals with iPads, too. My husband wrote an email to Steve Jobs in May 2010 conveying our thanks for the innovative products that Apple has created that have unlocked Dylan, for lack of a better word. Here is my husband’s email. When my wife got an iPod Touch a couple of years ago our son had only just begun to speak. He was 5 and had been mute till age 4. He was diagnosed with autism and indeed, is a classic autistic child in many respects. His affect is often flat, he speaks now but doesn’t proactively communicate, he tends to obsess on seemingly odd, random things, flaps his hands, etc. We started letting him play with the Touch and we quickly discovered that the little boy who had become what seemed like a closed-off mystery to us around 18 months or so not only had a vivid imagination and interests all his own, he also found the Touch an irresistible way to navigate the Web. With no help whatsoever he discovered the Youtube app. Then he found the Google mobile app. Through the Touch interface he could find any video he wanted (he is obsessed with movie logos in particular) and find images & websites that interested him. His facility with the Touch was amazing, really. We were afraid Dylan, our son, would always be closed off from the world around him, walled in by his disability. Then we realized through his use of the Touch that he was going to find ways, whenever possible, to explore the world and to reach out. We didn’t really understand how he could use these tools to get through to us until the day he was fooling with my iPhone. I took it away from him, miffed because I need it and he had been kind of tough on the iPod Touch, and didn’t think much about it till later, when I was checking out a note-taking app that’s designed to let you write/draw with your finger. Twenty years ago, I’m not sure we would have been able to find out nearly as much about Dylan and who he is. There weren’t easy-to-use, straightforward interfaces like those found on the iPhone, Touch & iPad. Were it not for this technology, Dylan might have remained locked inside his head, unable to communicate his interests or in some small way, his feelings to his family, to the world. So we thank you and we thank Apple. We have some vital knowledge of our little boy, of who he is and what he thinks about, even feels, because of your products. For this reason alone we will always be grateful and will always remain faithful customers. Its on the iPod and iPad too. Proloquo2Go™ is a new product from AssistiveWare that provides a full-featured communication solution for people who have difficulty speaking. It brings natural sounding text-to-speech voices, up-to-date symbols, powerful automatic conjugations, a default vocabulary of over 7000 items, full expandability and extreme ease of use to the iPhone and iPod touch. My husband and I were grateful for the reply. A lot of people would not have taken the trouble, and I don’t like to think about how many emails Steve Jobs received in an average day. It’s not a long email, but it is, in a sense, a typical Steve Jobs response—to share a tool (cue the joke about there being an app for that)—a really, really expensive tool, too, it must be said—that was designed specifically to make the user’s life easier or better in some way. To me, Steve Jobs is the epitome of what you can do if you allow yourself to fail, to dream, and to find your way. He was a designer in the truest sense of the world, and his innovations made my life better. Though his life was shorter than seems fair, few can say at the end of their lives that they have made as large an impact on the world as he did. I recently downloaded an app on my iPhone called Appsaurus. What this app does is recommend other apps based on your interests—a little bit like Apple’s Genius. I think it might be a bit buggy because I keep blocking some types of games apps, and I even turned off those types of app recommendations in my preferences, but I’m still seeing them. An app reviewer noted the same issue in her review. However, that issue aside, I have learned about some great apps through this app. This list is not meant to be exhaustive, but it is a pretty good list of apps that your students who have iPod Touches, iPhones, or iPads might find useful. Prices are accurate as of June 30, 2010, but are subject to change. iHomework. iPhone, iPod Touch, iPad, and Max OS X. This app bills itself as “the only app you need in order to stay organized in school.” iHomework allows users to add assignments, courses, and teachers. An interesting feature of this app is that it allows users to visit the course website or email the teacher. It allows students to keep track of grades, add repeating assignments (such as weekly quizzes), create to-do lists that can be used for non-educational activities, too, and sync between the OS X and the iPhone, iPod Touch, or iPad. $1.99. myHomework. iPhone, iPod Touch, and Mac OS X. This app is described as “a simple and easy to use iPhone and Mac application that allows you to keep track of your homework, classes, projects and tests while interacting with a really cool design.” It does indeed, have an attractive design. This app also has a sharing feature that allows students to “transfer homework or class entries to friends and email homework reminders.” I can’t tell from the website whether the iPhone/iPod Touch app will sync with the Mac OS X app. Free. Things. iPhone, iPod Touch, iPad, Mac OS X. I use this app as a to-do list and grad school planner. It enables users to create repeating events and specify when they end. It syncs with the Mac OS X app. Things also allows users to create projects with multiple to-do steps, file goals as “Someday” items, which is handy if you want to do it but aren’t sure when you’ll get to it, and allows you to specify the number of days before the due date that the reminder will appear in Things. $9.99. iStudiez Pro. iPhone, iPod Touch, iPad. This app allows users to input flexible schedules and keep track of their grades. The app has a nice design. The calendar feature resembles Apple’s iCal app. You can try out a “lite” version of the app for free. $2.99. Evernote. Mac OS X, Windows, Web, iPhone, iPod Touch, iPad, Blackberry, Android, Palm Pre/Palm Pixi, Windows Mobile. This app “to save your ideas, things you see, and things you like. Then find them all on any computer, phone or device you use. For free.” The granddaddy of useful applications, Evernote allows users to take notes, clip web pages, take photos, take screen shots, and organize and tag items into different notebooks. Free. Springpad. iPhone, iPad, Android, Web. This app allows users to bookmark sites, take notes, take pictures, and scan bar codes. 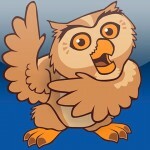 You can integrate it with Twitter or Facebook, and email. Free. Stick It. 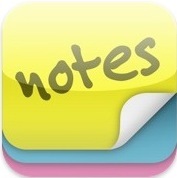 This sticky notes app allows users to take notes and put sticky notes on their lock screens and bump phones to transfer notes to other phones. $0.99. I know there are a lot of wonderful iPhone, iPod Touch, and iPad apps for education, and this list only discusses a few useful apps. Do you have a favorite? Please share in the comments. I definitely have a problem. Do you know I have been telling myself for about a week now that I do not need to start a blog about apps and products for Apple’s Mac and iPhone? I mean, first of all, The Unofficial Apple Weblog and other sites do a much better, more thorough job than I would. Second, I already have several blogs, and I don’t update any of them with any regularity. And yet, I find that I do occasionally want to discuss some of the apps I’m using, even if they’re not education-related. To that end, I have decided that I will occasionally use this space to discuss education-related apps or products, but I will not, and I repeat will not respond to requests to review products unless I am interested. I have received quite a few requests from companies to review books or Web sites, and even been asked if I would link to products or allow advertising on this site. I want complete control over the content, and I want you to know that if I am discussing something here, it’s because I wanted to—because I either really liked it or because I didn’t—and not because I was paid to do so. Because you perhaps are not as interested (if you’re reading this blog) in apps not related in some way to education, you understandably might not want to read posts about those apps. Therefore, I won’t subject you to them here. However, if you would like to read them, you might want to check out my book blog. I do allow myself to go off topic over there. In the sidebar to the right, you’ll see an RSS feed for that blog. Being department chair coupled with starting graduate school hasn’t been good for my blog, but I feel great about what I’m doing and learning. I had an excellent start to the school year. My Hero with a Thousand Faces elective class is going very well. We’re reading The Iliad together right now. My British literature classes are going well; we wrapped up summer reading and start Beowulf in earnest this week and the next. My ninth grade class is full of hard workers. I am connecting with fellow students in my program at Virginia Tech through Facebook, and that has added a whole new dimension to my use of social networking. One of my classmates set up a study group for us, and it has been helpful. For instance, I found out who among our group is taking more than the first three hours our program of study recommends. I needed financial aid, and I had to go at least half time, so I had to add a fourth three-hour class. It was good to know who is taking the class. I was using Excel for an assignment in that class last week, and I had to call my dad for a little bit of help (I’m weak with Excel). This week, a classmate mentioned she was having some trouble with making the chart in Excel. I was all ready to share what I’d learned, but it turned out she used a different program and made it work. It’s easy to feel disconnected from fellow classmates when you’re studying online, and Facebook has been great for connecting and feeling at least a little bit like I’m part of a class. I’ve been doing well with my assignments so far. The level of challenge has been mixed, but I understand that much of it is intended to be introductory material. Perhaps program designers needed to think about where most people are in their level of computer knowledge. I am a bit concerned that one of my classes is a little dated in the era of Web 2.0, but I’ll reserve judgment until I’ve completed a few more lessons. I am in love with my new MacBook. I took advantage of the free iPod with rebate promotion, and I also now have an iPod for the very first time ever, and I love it, too. It’s an iPod Touch. I am not sure I will go back to a PC after the Betsy iBook and now this MacBook. I am really glad that I was able to get the computer — never would have happened in a million years if not for financial aid. I have to say our Federal Student Aid program is really excellent; I was able to go to undergrad and now attend grad school when there is no way I’d ever have been able to do either without financial aid. I think it’s great that we offer that opportunity to students. So, I’ll try to update soon with content and the like. Stay tuned! A Poll: What Would You Like to Read? I started my master’s degree on Monday, and I have been so busy! I had a problem with direct deposit and my student loan, so I had to wait until today to get a new computer for school. The nice Mac iBook that Betsy gave me months ago died. It made me very sad. Well, I probably needed to go ahead and get a new computer for school because of the type of degree I’m pursuing. For those of you who joined me late or forgot, I’m working on an ITMA (Instructional Technology Master’s Degree) at Virginia Tech. So far, I am enjoying the program, although I had trouble doing assignments at school because I was so frequently interrupted. One of our first assignments (which is fairly common, I would imagine, among online programs) was to introduce ourselves to our classmates via a listserv. It looks like I will be learning with some interesting folks. Some of us have already found each other on Facebook. I already submitted a few assignments. I think as I go further into the program, I will begin to learn more interesting things. It looks like the introductory classes are designed to make sure everyone has the requisite skills, so they’re not too challenging, but as I’ve taken on a leadership role in my department at school, it’s good for me to start slow. Speaking of which, I am enjoying my role as department chair. My department is hard-working and professional, and just a real treat to work with. I think at this point we’re all just about done with summer reading. I am really enjoying my Hero with a Thousand Faces elective. I set up a closed network for the class on Ning, and I really like it. I mentioned I bought a new computer. One of my students told me that a former student of mine works at the Apple store at the mall not far from our school. I messaged him on Facebook with several questions, and he was so helpful. I bought a computer from him today — it’s a new MacBook. I am totally in love with it. I was able to get a free iPod Touch (as part of a promotion for college students and eductators). Well, it will be free once I get the rebate. I wish I had been able to afford the printer today — it, too, would have been free, but I had to purchase it first and then obtain the rebate, and I couldn’t quite swing it. However, I do feel ready for school now, and perhaps I’ll feel a little less frantic. Also, I might actually be able to update this blog once in a while. For those of you who haven’t heard the news, it looks like local school system Clayton County has indeed lost their accreditation. It’s very sad for the students and the teachers that the board leadership so mishandled the system’s affairs that SACS felt they had no other choice. I am warily allowing comments on this post regarding this sad news, but I remind new visitors that unless you abide by the posted comments policy, your comment will not appear. I am having some trouble with my computer, so until I can get it checked out, I have to share with my husband. We don’t have a history of being able to share very well! We’ll see how it works out. Unfortunately, if my hunch about the computer is right, it won’t be a cheap repair. That said, my to-do list for tomorrow is to catch up in Write Beside Them, and when it’s my turn on the computer, I’ll try to post all my thoughts on the discussions at the wiki. One benefit of having more restricted access to a computer is that I won’t be as distracted by the computer, so perhaps I can get more reading done. However, if the computer can’t be fixed, I’ll need to purchase one for my IT program because there is no way we will be able to share if I have to do school work. Ugh. Anyway, if posting is even more spotty than it already is, well, you know why. As my husband increasingly needs to use our home desktop for his own writing, I found that I did not have enough time to work effectively from home or to pursue my various interests. I am not faulting my husband — in fact , it is precisely because I wanted to be supportive and encouraging of his burgeoning career as a journalist that I curtailed my computer use at home. I decided the only thing to do was to save money for a laptop, and I also decided that if this blog or any other information I had provided had been useful, perhaps donors would be interested in helping me save. I have been sitting on this announcement because I haven’t really set any balls in motion yet, but it is my intention to apply to go back to school and earn an masters in Instructional Technology. Therefore, it became more necessary than ever that I have a computer, preferably a laptop, in order to pursue my studies. Several people made generous contributions, and I can’t tell you how much I appreciated them. However, a reader of my husband’s work, Betsy, had a laptop she no longer used and decided to donate it to me. I am now the proud owner of an Apple iBook G3. I believe that this laptop will enable me to do anything I might need to do for school, and it was always my hope that I might indeed be able to purchase an Apple with my savings. I had a website that sold used Apples bookmarked, and I had been saving with the goal of purchasing a used Apple — more affordable to me than a new one — from this seller. However, Betsy’s generous donation made all of that unnecessary. Therefore, I would like to tell those of you who donated towards my laptop savings that you have two options: 1) allow me to use your donation for other items I need for my classroom (supplies, decorations, etc. ), or 2) request a refund for your donation. If you donated, and I do not hear from you, I will assume it is OK to apply your donation to other classroom needs. I want to highlight a website called DonorsChoose.org. If you are like Betsy, and you have an item you no longer use and wish to donate for educational purposes, please check out this site. You may find a teacher who needs exactly what you have, and you can be helping not just that teacher, but also his or her students with your donation. You can also choose to contribute funds towards purchasing the items the teachers need. Your gifts are tax-deductible. You can also look for teachers in your state so you know your gifts will benefit students close to home. Please check out their site for more information. I would have used the site to request help, but it is limited to public school teachers at this time, and I am currently teaching in a private school. Thanks again, Betsy for your generosity. I can’t wait to get to work! Is Snape a Bad Teacher? My students participated in the 2007 Apple Insomnia Film Festival contest and created a video entitled “Stress Test.” Filmmakers can win the contest in two ways: 1) be awarded first place by the judges, or 2) win a popular vote. Please check out their video, and if you enjoy what you see, vote for them. If you don’t have an Apple ID, you need to create one in order to vote. If you have an Apple ID, you can vote here. If you have any questions, please leave them in the comments, and I will ask the students to address them for you. Thanks!